This textile design was inspired by a small ceramic bunny baby that i picked up for 20 cents at a charity shop on the coast. I tend to become really attached to small ceramic objects with faces but for some reason i just fell head over heels in love with this little guy. He used to live on my windowsill but the wind knocked him off one day and as i heard that saddening chink of breaking china, my heart fell to the floor. Of course i played doctor and glued him back together - I've got to take care of my Guardian Angel (as i've lovingly named him.) ... because hopefully he's keeping an eye out for me. 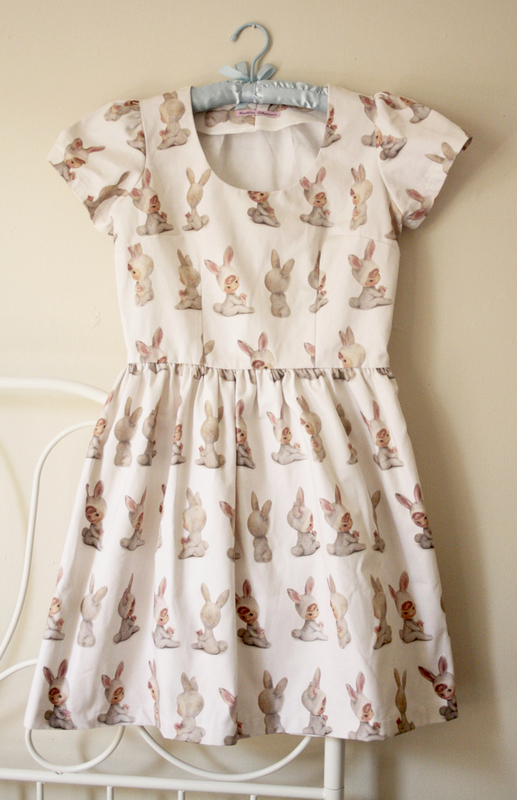 This dress is available to purchase in my etsy shop. 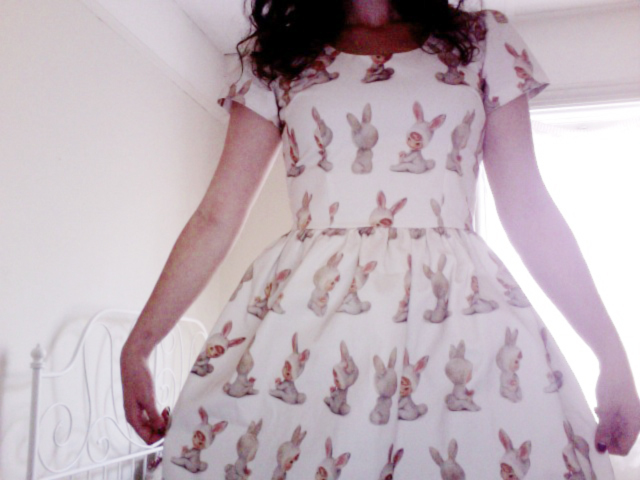 Dresses retail for $150 AUD + postage, and are handmade in Australia. 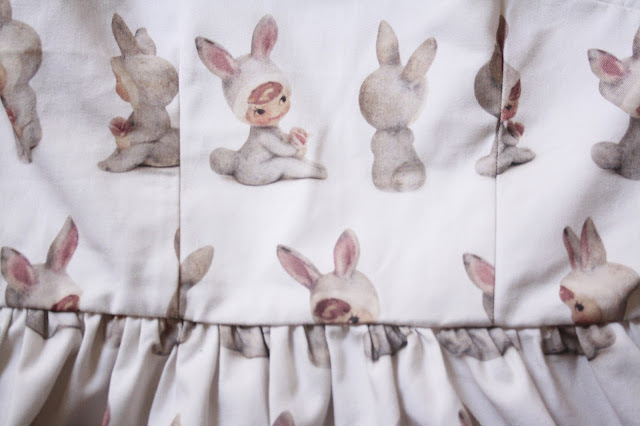 All textile designs are created by myself and are exclusive to my dress label. Hopefully one day i can have my own fabric design business. 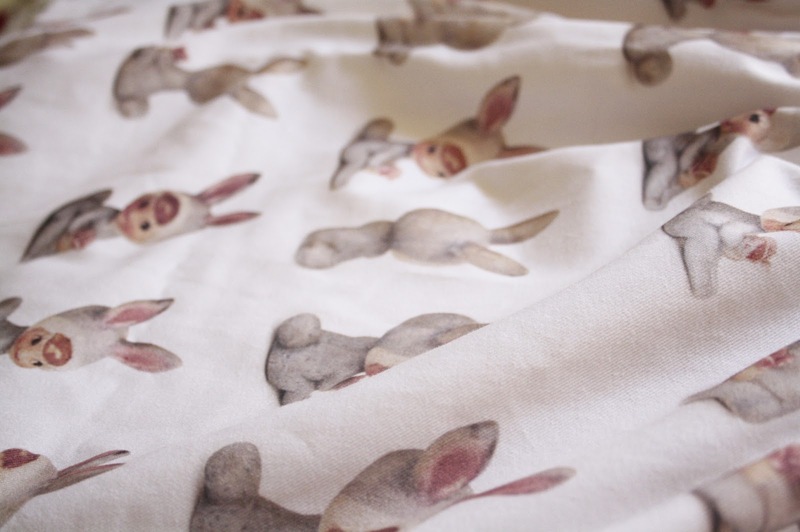 For now, digitally printed fabric is just so expensive to print so it's too difficult for me to stock it on a wholesale basis... it's something in the works though. Just need a few years of learning and maybe a financial backer, haha! 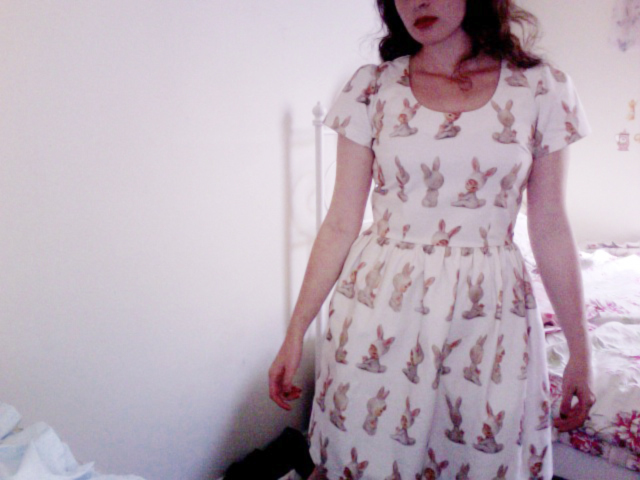 I'm a big fan of kitsch figurines, this dress is perfect! yes, i know - the deer you posted the other day is totally cute. my mum has started collecting figurines for me on my behalf, so i'm gaining quite the collection! This dress is perfect! Love it! It's so cute! I want to see the original bunny :) so cute! i was planning to! 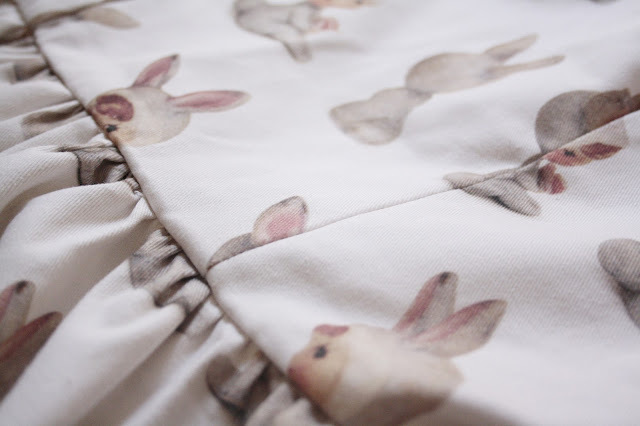 I've also got matching mother/daughter ensembles in this fabric, coming up!